Thank you to everyone who attended the public open house on October 11, 2017. Below are links to materials from the meeting, organized by project area. The City of Chaska, Carver County and MnDOT have been working on a future vision for Highway 41 in downtown Chaska. Check out this video illustrating the proposed 3-lane vision. An underpass for trail users is proposed under Highway 41 using the former railroad corridor through downtown. Here is a rendering of what that underpass could look like between Dolce Vita Wine Shop (on the right) and the Coldwell Banker building (on the left) as you are looking west. 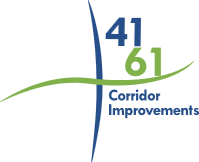 WHAT: County Highway 61 (Chaska Blvd) between Hickory Street/Big Woods Blvd and Highway 41 will be under construction this summer. County Highway 61 traffic will be detoured during construction. WHY: The project will replace a deficient bridge over West Chaska Creek and make improvements to County Highway 61 and Creek Road to ensure these roadway operate safely and efficiently into the future as traffic volumes increase. Click on the links below to view additional information about the upcoming construction project. Project Map – This shows the 2017 construction project in detail. Local and Regional Detour Map – Additional details on the detours and local access routes during each stage of construction will be posted soon! Pine Street Pedestrian Crossing Improvement – An overhead pedestrian activated beacon will be installed at the County Highway 61/Pine Street intersection to increase safety for pedestrians crossing at this location. This type of beacon is a traffic control device used to stop road traffic and allow pedestrians to cross safely. Eric H.– the file in the link above is called “Chaska Perspective Draft.jpg.